I’m delighted to have a copy of this cute DVD to give away! Meatball is a carefree, wisecracking country dog. Cassie is Hollywood’s most pampered pet They couldn’t be more different, and when their owners marry and move the entire blended family to the rural north, the claws come out It’s only when two bumbling thieves scheme to break into their house, that these four-legged foes must team up to defend their home. This riotously funny and heartwarming comedy proves that it takes all breeds to make a family. 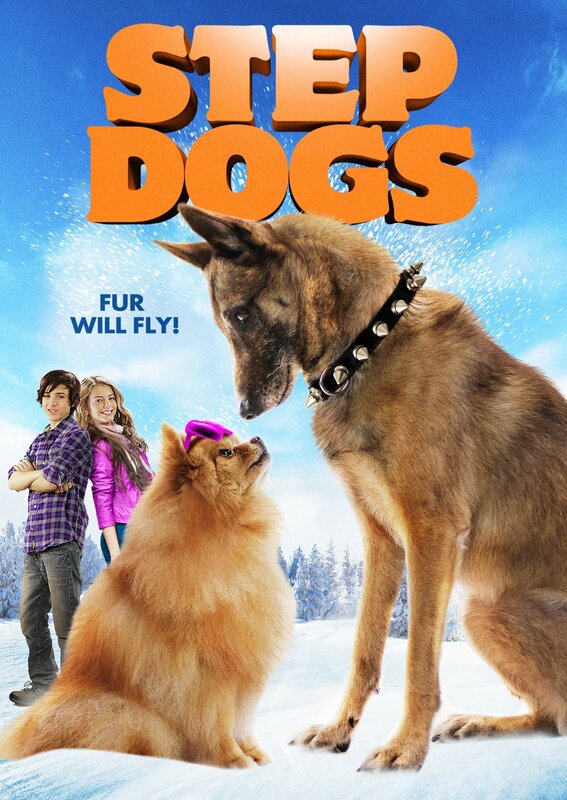 Send me an email at moviemom@moviemom.com with “Step Dogs” in the subject line and tell me your favorite pet. Don’t forget your address! I’ll pick a winner at random on December 18. Good luck! The latest in the terrific series of American Girls movies is the story of Saige (Sidney Fullmer), a talented artist and a horse-lover. She is devastated to learn that due to budget cuts, there will be no more art class in her school. Just as painful, her lifetime best friend seems to like a new friend better. Everything she thought she understood and everyone she thought understood her seem to be changing. Then it gets worse. 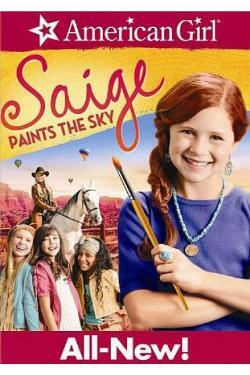 Her adored grandmother (Jane Seymour), an accomplished artist and Saige’s role model, is hurt in an accident. Saige has to learn some new skills and develop her understanding and courage in this heartwarming story of friendship, problem-solving, and making change work for you. According to this movie by the “Toy Story” folks at Pixar, that monsters are more afraid of children than children are of monsters. But monsters need to collect the screams of children to fuel their world, and children are getting so hard to scare that the monsters are suffering from rolling blackouts. What can they do? Top scarer John “Sully” Sullivan (voice of John Goodman) and rival Randall Boggs (voice of Steve Buscemi) work as hard as they can to break the scream-collection record. But when Randall inadvertantly lets a human child into the monster world, the monsters find out what being scared is really like. This movie is utterly delightful. It should be put in the dictionary to illustrate the word, “adorable.” It has the same delicious mixture of heart, humor, and technical wizardry that made “A Bug’s Life” and the two “Toy Story” movies into instant classics. 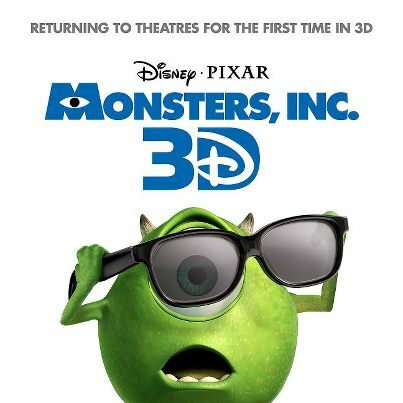 Like Jim Henson, who decided to make his “Sesame Street” characters monsters so that children would never be afraid of monsters again, the people behind this movie have created monsters that even the shyest child will find completely unscary. In fact, kids may decide that multiple heads, removable eyes and hair made from snakes are kind of cute. Sully and his sidekick, Mike Wazowski (voice of Billy Crystal) are just a couple of nice guys proud of their work trying to do their jobs (except for filing the paperwork, which Mike never seems to get to). When Boo (voice of Mary Gibbs) sees Sully, she runs after him, shouting “Kitty!” At first, Sully is scared of her, but then he gets to know her and they become good friends. Parents should know that there is some mild peril. A scene in which biohazard workers in yellow jumpsuits and hoods disinfect a monster who came in contact with a child’s sock is scarier now than it would have been before the terrorist attacks and the nightly news about anthrax. Parents should be prepared for questions. There is a little bit of potty humor. All of the “scarers” are male. But overall, this is just what a G movie should be and wonderful fun for the whole family. There are lots of terrific DVD extras, including background info, a music video, ideas that never made it onto the screen, and a game. 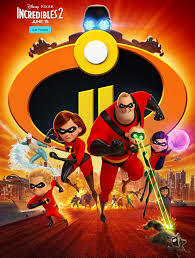 You’ll also get a sneak peek at next summer’s animated feature. Families who enjoy this movie will also enjoy The Adventures of Elmo in Grouchland and the Toy Story movies.